The 2017 Oscars were memorable for more reasons than the wild ending of the broadcast and triumphant win of Moonlight. Lots of sensationally modern statements hit the red carpet before the show began. Ruth Negga’s ensemble had the spirit of something old and something new. Dakota Johnson’s look had the same vibe. The 50 Shades Darker actress wore a gold gown from Gucci. The 27-year old paired the long sleeve satin dress with a necklace and two rings from the Cartier Collection of historic jewels. Rarely loaned for the red carpet, the vintage pieces are generally reserved for display in exhibitions as examples of the French jeweler’s historic work. And they are not for sale at any price. The two gold rings, Johnson wore on one hand, were both made around 1945. One features diamonds and a 2.95-carat ruby. The other is set with rubies and an emerald center stone. 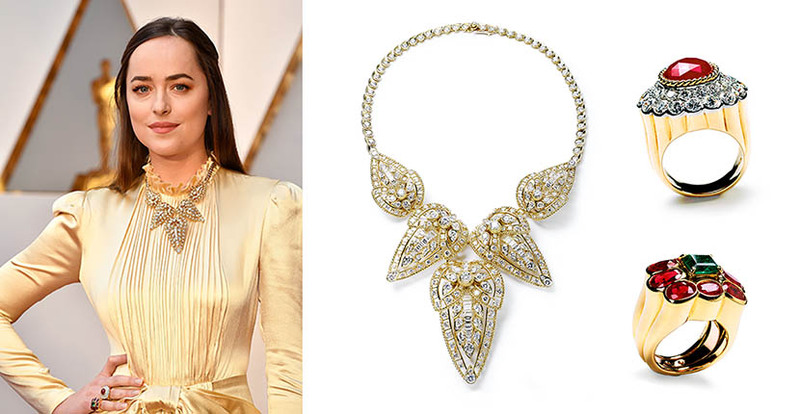 The necklace was the most eye-popping design among Johnson’s jewels that were flown in from Paris for the Academy Awards. 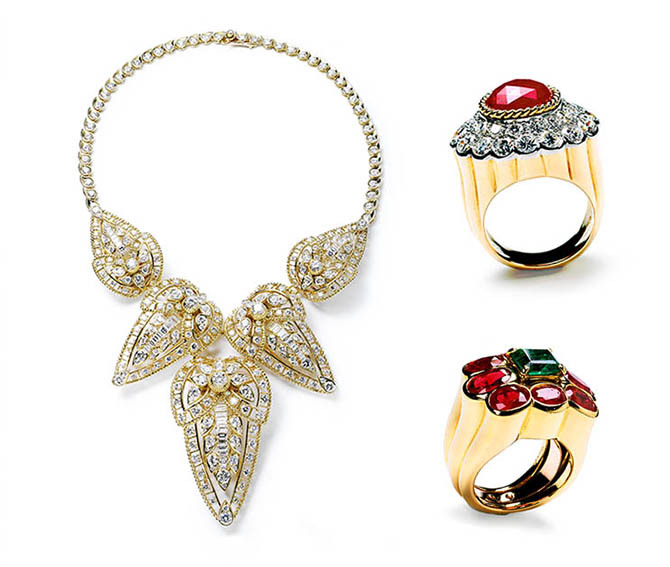 Made around 1958, the gold and diamond necklace is convertible. All five of the leaf motifs on the front of the design can be disassembled and worn as brooches. 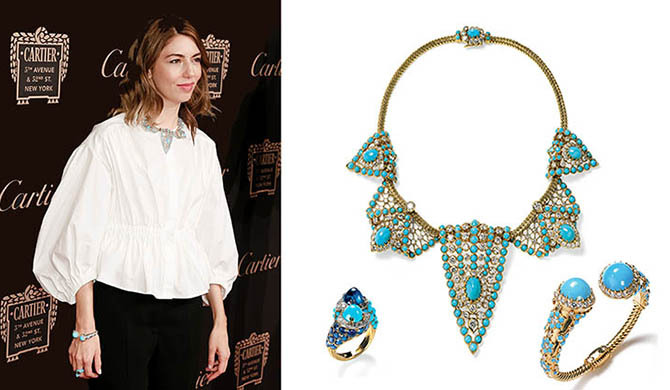 The piece is similar in style to the Cartier Collection turquoise, gold and diamond bib necklace made around 1955 that was worn by director Sofia Coppola at the grand reopening of the Cartier Mansion in New York in the fall. With the looks of Coppola and Johnson aligned, a new mode of twenty-first century style is clear.